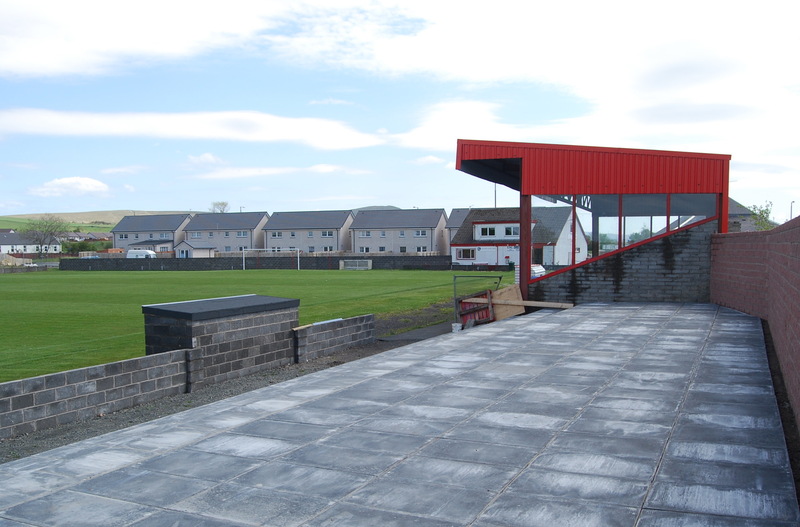 Glenafton Athletic were formed in 1930 and played on a colliery owned pitch in the heart of the miners rows at Connel Park, a mile or so to the west of the village . 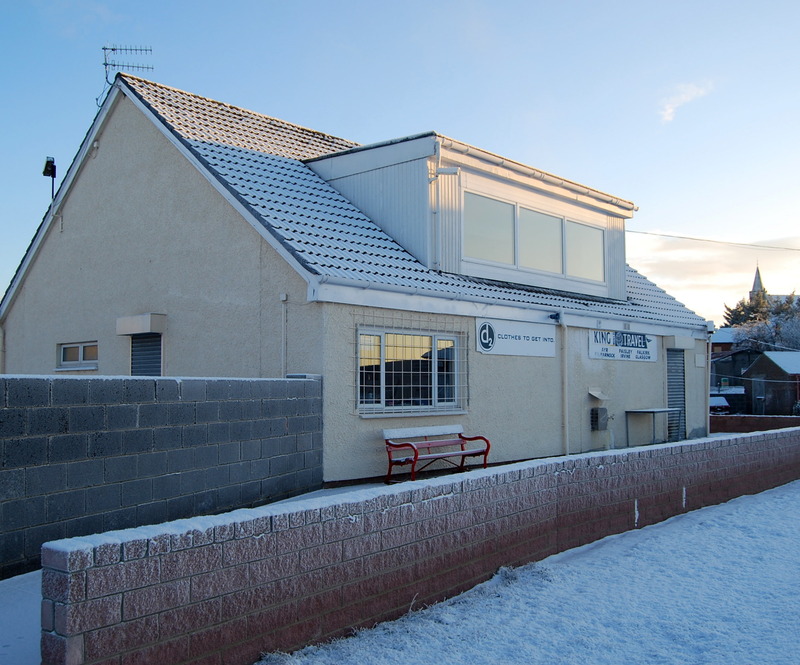 The club relocated to the purpose built Loch Park in 1960 siutated on the land close to where the Afton Water flows gently into the River Nith. To mark this new beginning the club also changed colours from black and white to red and white. Half-time teas and coffees are served in the Campbell Hall , named after former club president the late Hugh Campbell . There is ample seating and a wide-screen TV, while on some matchdays a licenced bar is also available. 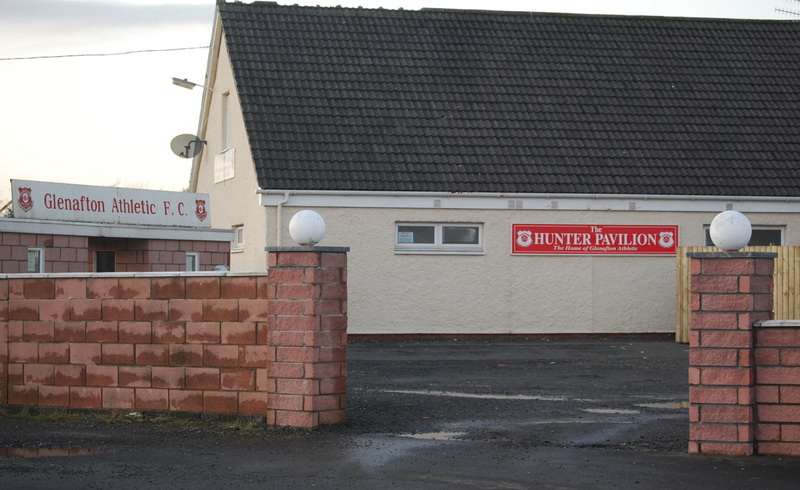 Matchday sponsors can also enjoy refreshments in the well appointed Hunter Suite in the Hunter Pavilion, named after New Cumnock’s philanthropist Sir Tom Hunter. A wide selection of hot and cold snacks, and drinks are available at very reasonable prices in our kitchen, popular with home and travelling suporters. 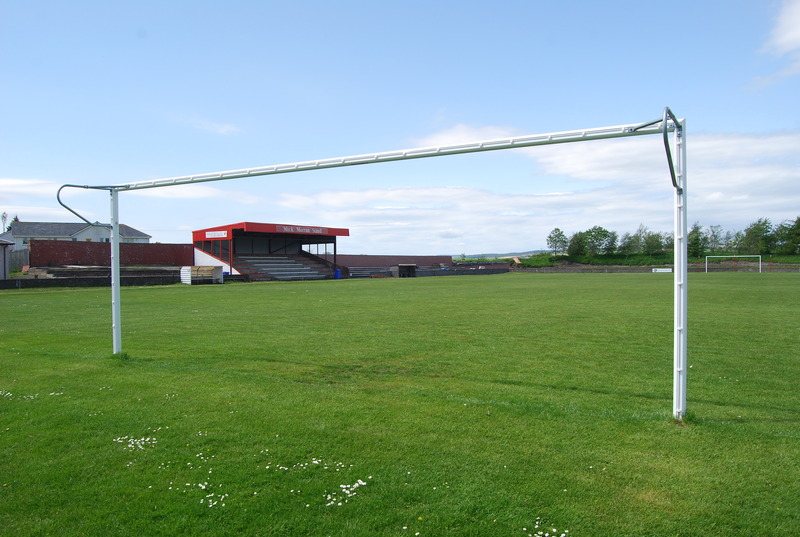 The Mick Morran stand, named after our late legendary physio provides shelter on those infrequent days that the sun is not shining at New Cumnock. By Road : New Cumnock is in East Ayrshire and sits mid-way between Glasgow (40 miles to the north-west) and Dumfries (38 miles to the south-east). From Kilmarnock (21 miles) follow the A76 passing through Mauchline (15 miles) and by-pass Auchinleck (7 miles) and Cumnock (5 miles) and follow the signs for Dumfries. Follow the A76 and Loch Park is situated on the right hand side of the road just beyond the Railway station. There are parking facilities, including for coaches, on the opposite side of the road. By Rail : Limited service from and to Glasgow via Kilmarnock to New Cumnock. Please check Scotrail timetables before travelling. Park is only 3 or 4 minutes walking distance from the Railway Station. We look forward to welcoming you to Loch Park, see you soon!